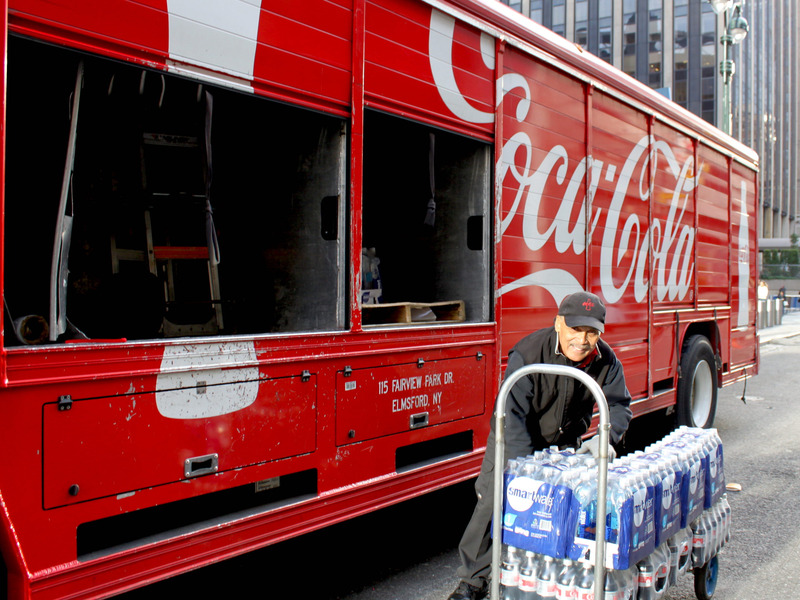 Coca-Cola delivery truck driver Miguel Santiago has a workday that begins at 4 a.m. But, when I spent a day with him on his delivery route in October, he didn’t complain about his early mornings. When I asked him what he enjoys about being a delivery driver, he shared two highlights about his job. One is that, in his words, Coca-Cola is a „global company.“ People all over the world drink Coke products, and he feels proud to play a role in delivering them. He said it’s particularly important for him to get home early so he can see his eldest granddaughter, who he sees every day. He also helps her practice Taekwondo, as she’s a local champion. Because Santiago starts work at 4 a.m., he is usually able to get home by 2 or 3 p.m. It’s just in time for his grandchildren to get home from school.